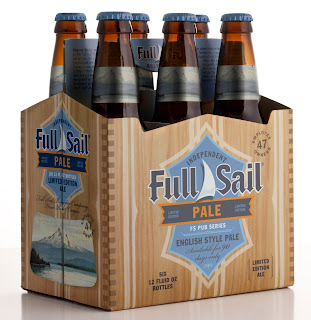 Hood River, Oregon – Full Sail Brewing has just announced the release of the next beer in their new rotating line of classic ales called the Pub Series. The third beer in the series, English Pale is traditional copper ale with flavors of toast, light caramel and a mild hop finish. This new series features ales that had only previously been available at Full Sail’s Tasting Room & Pub.